Anyone who was watching this team in the mid to late 90's has seen this before. Baby steps as a young team learns to complete. First they need to learn to win in the regular season. Then they need a few years to learn to win in the playoffs (The playoffs took longer and was more painful to learn back then). It's a long road to building a contender from young core players. Right now these guys are loose enough and have high enough energy to hang in a lot of games (if they get great goaltending). But once the third comes around you can see the players tighten up. The opposing teams knows it, the Senators know it, the people watching at home know it, the guys calling the games know it. It's an amazing feature of sports. Mental toughness. It will take a few big wins for them to chip away at it. I thought the Tampa game was a little better, where they scored that big goal late. The entire sequence was high energy and emotional for the young players. The Duchene hit, the Stone hit and the goal, all within seconds. It was emotional for the young team. It's too bad they didn't hang on to knock off the Cup favorite. Instead, we're back to the same. Gripping the sticks for the next third period lead hoping not to lose another one. In the end, like it was in the mid 90's, it's worth it in the end. Watching a young team learn to win takes a lot of time and patience, but it will be worth it. This team will be fun to watch in four years. Until then, go easy on them, and lower your expectations. Reading twitter is nearly unbearable with the sarcasm from some vulnerable Sens fans who use the negativity and sarcasm to cope themselves. A three goal lead going into the third. What could possibly go wrong. 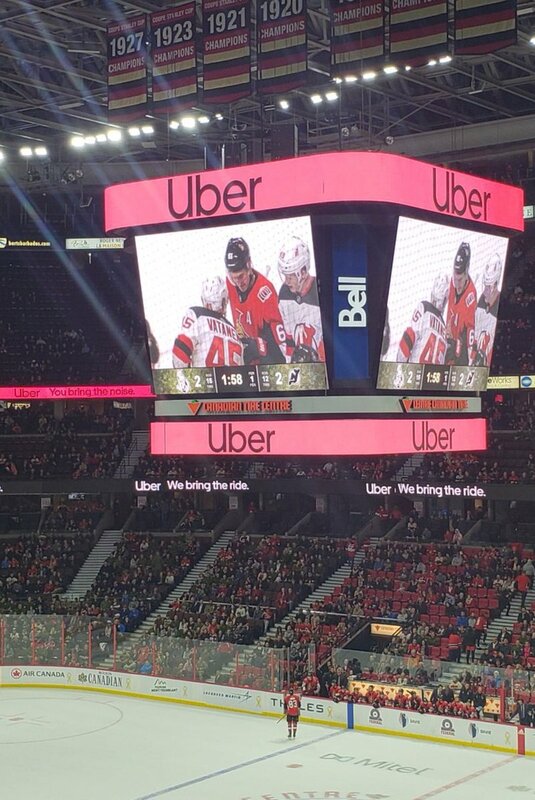 The devils look like the team caught in the Uber sting. Flat, flat, flat. The Devils look like the Senators did last year after they got back from Europe. Pretty strong game from Ottawa apart from the first ten minutes. PK goes 100%, I’m sure someone will make a joke about that in the room, at least they should to keep things loose. Chabot is so nice out there. When he has the puck you can feel the comfort level. Especially on the power play. He makes such great desicions. Chris tierney and Dylan demelo have fit in really well. A good move bringing them in to patch holes as if they only got picks and prospects back in the Karlsson deal things would be a bit uglier when you look at that roster. Good age too, as they can be young veterans and fit into this lineup for multiple years. Tierney is quite smart. Demelo very steady and quiet back there. I’m fine to see the end of Tom Pyatt’s career anytime in Ottawa. Duchene, Stone, White really showed up today. But what a game from Chabot - the most dominant I've seen him yet. Almost like Karlsson never left. It sure looked like the Uber embarrassment lit a fire under a bunch of guys. Maybe they can build some momentum from this. I'll never expect a pile of wins from this group, but if they play like that the games will at least be worth watching. Snes took it to the Devils at all times. Didn't let those goals bother them. A night of face saving in Ottawa. Tough watching that third period against Vegas. To see them battle back from 3-0 and then come unraveled when Vegas played them physical. Sens responded with lots of heat but not much smarts. Like watching a team of Boros. Good learning experience, hopefully. Big win tonight in Tampa. This was their best game of the season so far. Clobbering the struggling Devils is one thing, but beating the best in the East has got to lift spirits in the locker room. Wasn't Vasillevsky's best game or Tampa's, but they are an elite team and even on an off night they looked dangerous. The Senators stuck with them all night long and earned the win. Really satisfying night of hockey to watch. Side note, but Jason York's colour commentary is just awful. Nothing against the guy personally, but HNIC really can needs to do better. Fun fact: Cody Ceci needs only 2 more games to pass Jason York for 20th all time for games played in a Senators jersey. Final stray thought: Wideman played only 7:25 tonight. I didn't see him once in the 3rd. I admit I changed the channel when they were down after two. Wouldn’t have taken 20-1 odds on them getting one point, let alone two. Very impressive and also impressive to be .500 this far in. The young team will get better each month which is always a better feeling than following an old team who you know is on the decline. We had these teams the last couple years in Ottawa. Nice to follow one that will get better each month for years now. Bobby Ryan looks really good. Lighter and faster and he isn’t humped over on the back check, winded. He must have really worked out much better inge summer. Also has a kid now and that will change a person. Good for him as he’s had some tough years. Colin White with an impressive 11 points on 17 skates. I will admit I was worried that he’d pan out as a Chris Kelly type player, but he’s shown some scoring touch and high end smarts. This is a big story going forward. They needed him to really pan out with some skill. He looks so much more comfortable out there and has slowed things down instead of quick panic plays. His D game will always be there but nice to see some offensive side. He’s only played 40 career games so eleven points this year is a nice jump. They really miss Pageau this year. That was a tough blow. Nice to hear he’s starting skating again. He’s very versatile and much needed on a young thin team. Nick Paul is in today. I think he deserves it as he’s played his best hockey in his last couple games. He looked energized and strong on the puck. His foot speed looks better as well. Probably another guy who had a good summer training. He should be in for Pyatt from here on out. Pyatt with no points and on,y 14 shots in 17 games. A staggering -10 for an apparent defensive specialist. It’s time for Pyatt to be the third regular to hit the waiver wire. I’m sure Dorion is moniting the situation closely as last year he got rid of Boucher’s favorites on purpose. Only Pyatt remained. Decisive win tonight. Carried the play all night and got the SO for Anderson. Rangers were utter shite in the 2nd and 3rd, the familiar look of a team struggling just to complete each pass. But it's a big boost for the boys from Kanata. With two straight wins we're only 2 points out of playoff position (although with more GP). Time for an emotional win against Karlsson on Saturday afternoon to really ratchet things up. Duchene is so skilled. He really is one of the most skilled forwards we've ever seen in a Sens jersey. I still don't love him on the team, but there's no denying how individually dominant he has been this month and that Dzingel and Batherson are benefiting. Dzingel playing with tons of confidence this year, to the point where we're not really missing Hoffman at all, even if he has been producing in Florida. I agree. I was surprised to see Duchene way up in scoring leaders. I knew he was scoring a few and in on a few goals but his numbers really crept up on me. Good old career years from 2 of 3 UFA's. That never backfires. Nice win tonight. Although definitely had its own bit of luck getting a power play in overtime. Love the look on Eugene’s face when they won. Yes, Pens really blew it on that change. Once again, our veteran goaltender put us in a position to win. Big boost for the guys to see they can win without Duchene driving the offense. We really can't pay Stone enough money to stay in Ottawa long term. Craig Anderson is leading the league in starts, putting him in first among active goalies. Watching Bobby Ryan go nuts on Turris was must-see TV. Still sounded frosty after the game. Ryan didn't talk to reporters and Turris was very evasive when asked if it would affect their off-ice relationship. Not a bad game last night. The Preds were missing some key players and had an awful opening period, and the Sens managed to hold on after the ice tilted the other way. It was a special pleasure watching Johansen lose the puck to Dzingel and then get walked by Chabot on the winner. Love 3-on-3 OT. Somehow Max Lajoie has 7 goals in 32 games. His career-high in the WHL was 8 goals in 62 games. Can't explain it. Bit of a lucky one last night but they keep coming. I'd say his overall play has really struggled after a strong start, but he looked very good last night I thought. When did the Islanders become a tough team? They were intimidating the Sens physically all night long. Matt Martin channeling Chris Neil out there. After Barzal, he was the gambreaker tonight, taking Chabot out of the match and dishing out one tough hit after another. Pretty grim hockey to watch from both teams, but physicality and Barzal made the difference. Ottawa is just straight up awful. A few weeks ago I watched Tampa play Winnipeg. It was scintillating. Made me remember what good hockey looks like. My God this team is horrendous right now. It is really hard to watch. Without Chabot and Anderson it is especially obvious. This is the worst team we have iced since 1996. Hopefully they can also match that 1996 squad in terms of building something for the future. Boucher is a dead man walking. Hogberg bringing his A-game so far in this one. Mark Stone is a fine human being. The fanbase really needs him to commit long term and take over the captaincy next season. Not an awful effort, but bad teams always find a way to lose. Nilsson very underwhelming in his first start. He blew a winnable game. But the inability to get any chances at all in the dying minutes was ugly. They are a frustrated bunch for sure. Minnesota shut them down when it mattered most. Even if the Wild are struggling a bit this year, Boudreau must be feeling damn relieved to remember he passed on Ottawa a few years back. Boro may have been our best D this afternoon, which is itself quite an indictment. Could see Marc Crawford coaching by next weekend, I reckon. can someone explain what all this drama with the arena is about? Seems like four eyes friedman leads with the ottawa arena latest gossip whenever i read his column. PredsFan77 wrote: can someone explain what all this drama with the arena is about? Seems like four eyes friedman leads with the ottawa arena latest gossip whenever i read his column. Melnyk and Trinity, a real estate developer, had a partnership to develop Lebreton Flats. Before the deal could be finalized with the government, Melnyk sued Trinity saying that Trinity sabotaged the financial viability of the development by building other condos and offices near Lebreton. Trinity countersued claiming that the partnership fell apart because Melnyk had no money and couldn't trick Trinity and the city of Ottawa into building the arena for him. Because of the lawsuits, the federal government decided to pull the plug on the Melnyk/Trinity bid, but under the terms of the RFP, it had to give one month notice first. The runner up for the Lebreton deal, DevCore, released a press statement saying that under the RFP, it was entitled to replace Melnyk/Trinity. In interviews with the press, Devcore also said that they were willing to sell or rent a Lebreton arena to the Senators. Trinity and Melnyk entered into mediation to try to salvage the partnership and save the deal. Just before the one month notice ran up, the mediator asked the federal government for more time. The federal government granted the request. It then leaked that the mediation included Melnyk, Trinity, and Devcore. No one really knows why Devcore is the there, but since Devcore (or at least a couple of its billionaire owners, Andre Desmarais and Cirque du Soliel owner, Guy Laliberte) are rumoured to be the mystery party who offered $400 million to buy the Senators this summer, everyone suspects that a full or partial sale of the Senators is in the works. The Senators should move to Gatineau. AD wrote: The Senators should move to Gatineau. ...once people start going to games again. 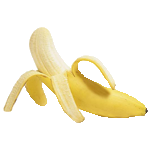 I assume that the banana just wants to see it become another backwater Quebec team that will eventually move to the US just in time to become successful there. Big turn around from my last post a couple weeks back where it looked like a desperation coaching change could be pulled. Team looks to be with life. Impressive without Anderson. Pageau fills a big hole shoring up a defensive center position. Makes a big difference. Strange that the news was leaked of the details of Duchenes contract offer. Seems like an inside job. This team has more leaks than an old boat. I'm guessing it's to get the word out that they tried, with a really strong offer but that Duchene wants a contender to play for. At 8 years at 8+ million per, that's a strong offer. It just seems too easily leaked. I'm fine trading him to be honest. Since the number was reported by Kyperios and not Garrioch, I suspect that it was leaked by Duchene's agent to make Duchene look re-signable to potential trade deadline buyers. How close are we to being able to say 'at least we aren't the Oilers'? It’s a tough call. Do you really want to be one or the other? But at the Oilers have a superstar and an owner willing and able to spend to the cap, so at least their future isn't as hopeless as Ottawa's. senate wrote: But at the Oilers have a superstar and an owner willing and able to spend to the cap, so at least their future isn't as hopeless as Ottawa's. True, if we're depressing, the OIlers are frustrating. McDavid and money beats Chabot and debt. But the post-mortem on the Chia firing highlights similarities between the two organizations' approach to management and how both are falling further behind organizations like the Leafs and Lightning not just on the ice but in hockey operations generally. The only thing that makes the Sens better than the Oilers is that the Sens can draft beyond the top 3 picks. tuned in to the game tonight fellas! looks like a sellout!